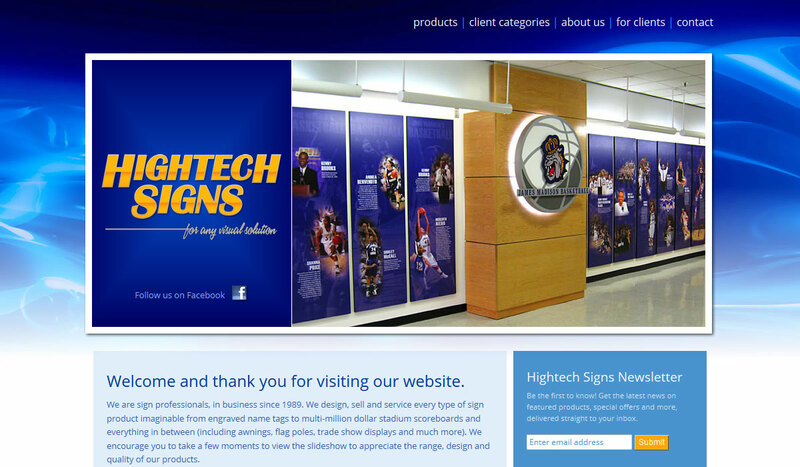 If you want to see what a full-service, modern sign-maker can do, check out Hightech Signs. Indoor, outdoor, electrical, engraved, cast, printed, painted, carved—whatever! If you want to display information, virtually anywhere, then they’re the pros to call. 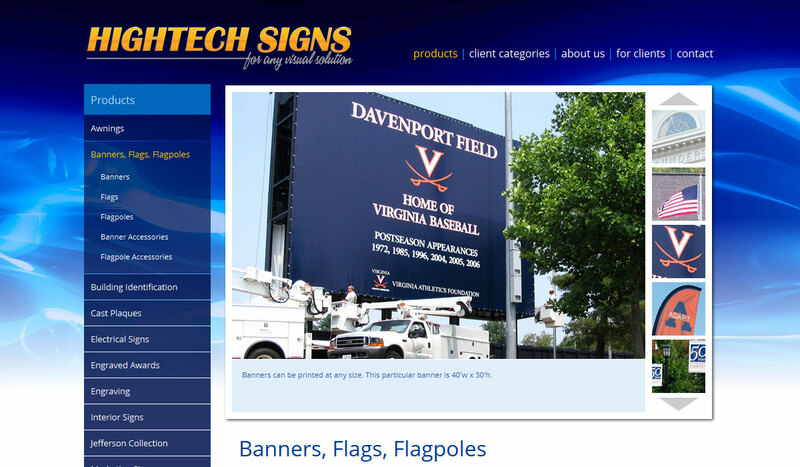 We’ve now created two sites for HTS, with the latest a database-driven visual showcase for all the types of sign projects they tackle every day.